By the 1200s AD, Russia was weak from civil wars. So the Mongols attacked Russia and forced the eastern part into the Mongol empire. The Mongol empire made it even easier to trade across Asia, and the Russians continued to get rich from this trade. But in the early 1300s, the trade brought plague germs to Russia too. The Black Death killed many people, and also spread to Europe. In addition, the Little Ice Age made Central Asia even colder than usual. So farmers had more trouble growing food. The Mongol Empire collapsed, and the Russians gradually got free again. Russia began to try to take over Lithuania, to the west. But in the late 1300s AD, Poland and Lithuania joined together into a stronger empire. Then the rapidly growing Polish-Lithuanian Empire of Jadwiga and Wladyslaw II conquered most of Belarus and Ukraine. The Russians had more success expanding their empire in the 1400s. In 1462 AD Ivan the Great became the Grand Duke of Russia. Ivan fought the Mongols and made Russia completely free of Mongol rule. By 1478, Ivan had also conquered the neighboring kingdom of Novgorod, and soon after that he conquered several other small kingdoms near Russia. A few years earlier, in 1453 AD, the Ottomans had conquered Constantinople. The Ottoman sultans now considered themselves to be the Roman Emperors, but the Russian bishops thought it was wrong for the Roman Emperor to be a Muslim. So Ivan decided he would be the new Christian Roman emperor. He married a Byzantine princess, Sophia Paleologue, who brought Constantinople’s traditions to Moscow. Ivan began to call himself Caesar, like the Roman Emperors. In Russian, Caesar came out as Czar. 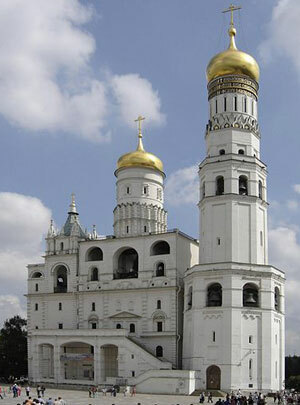 To show his connections to Italy and Rome, Ivan brought an Italian architect to Moscow to build a bell tower and churches for him. As Czar, Ivan thought he should have more power than just a Duke. He stopped paying attention to his boyars, or lords, and he wrote a new law code. Ivan also made friends with the rulers of Hungary, the Holy Roman Empire, the Ottoman sultans, and other neighbors. After Duke Casimir of Lithuania died in 1492, Ivan also got control of most of Lithuania before he died in 1505. Cite this page: Carr, K.E. 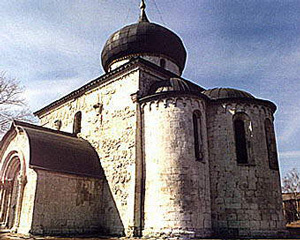 Late medieval Russia – History. Quatr.us Study Guides, August 3, 2017. Web. April 25, 2019.